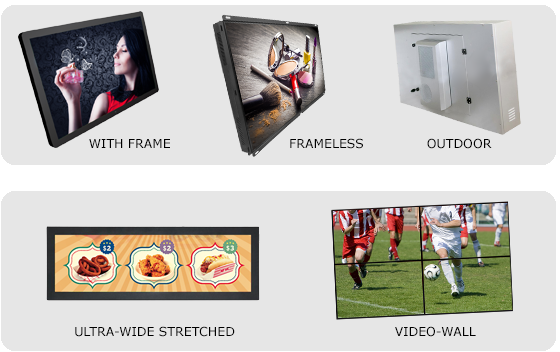 LionDATA as a developer of advanced digital signage solutions LionDATA offers you, in addition to our digital image transfer systems, different monitors for the professional use. Of course all our monitors are naturally well combined with our LionDATA AVX Media Player and LionDATA AVX Broadcaster. Based on the individual possibilities of digital signage applications we offer different production possibilities and design options. For both, the frameless monitors for shop fittings and other installation purposes, as well as the enclosed models, the adaptation to given light conditions and necessary viewing angle is possible. To best assist, please fill out the following inquiry form. So we can send you a free and not binding individual offer exactly about what you need. your project data in that request form.